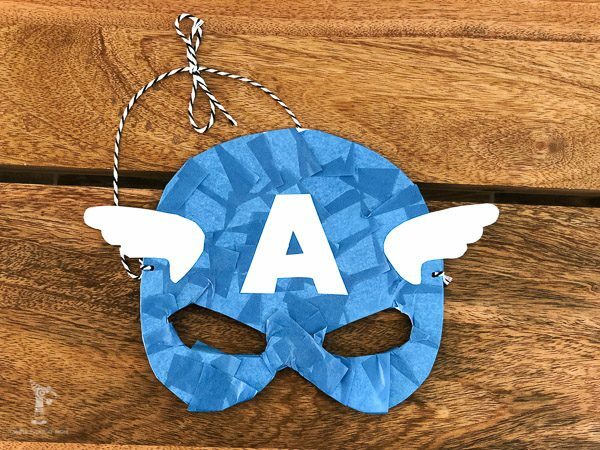 Inside: Make a fun St. Patrick’s Day craft with your kiddos with a few supplies and these free printable tags. 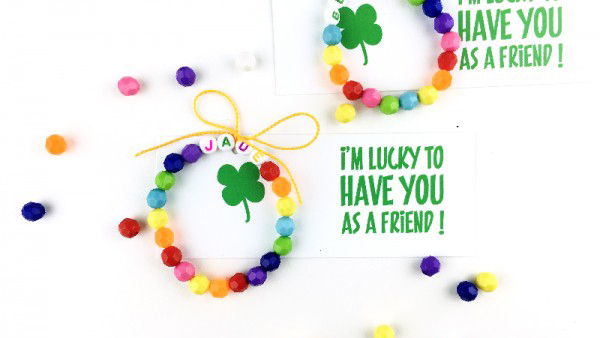 Or see all our fun St. Patrick’s Day crafts for kids here. I have absolutely no idea why we celebrate St. Patrick’s Day. I’m so clueless I couldn’t even give you an educated guess. All I know is that starting last year my 5-year-old has become slightly obsessed with the day he refers to as “Patrick’s Day”. He loves the school crafts and the golden chocolate coins that those sneaky leprechauns leave for him to find the morning of the big day. 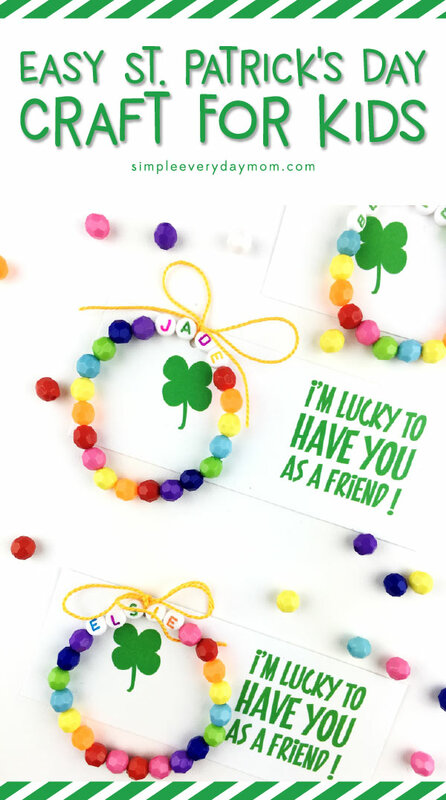 Since he’s been anticipating it so much I decided to have him help me make these super simple St. Patrick’s day bracelets for him and a few friends. 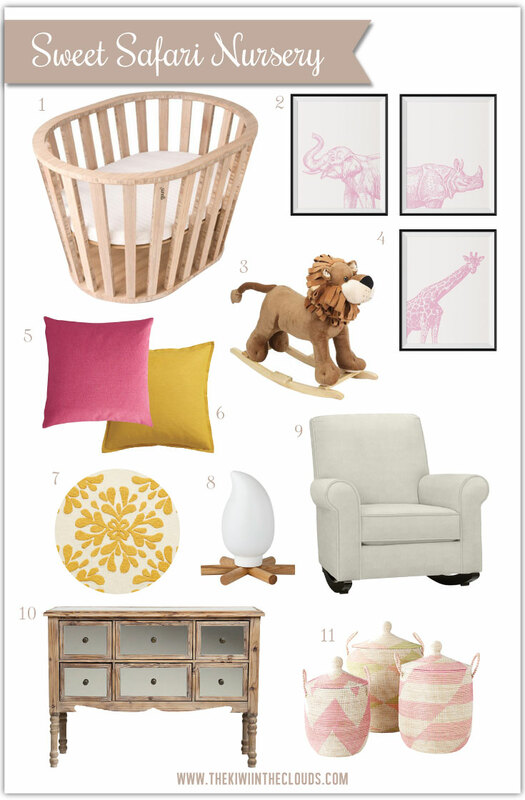 And of course, I had to make a fun little free printable to go with them. 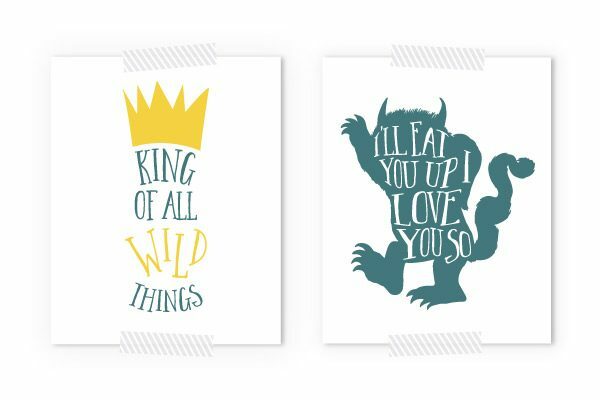 Because doesn’t everything just look cuter with a corny printable attached? 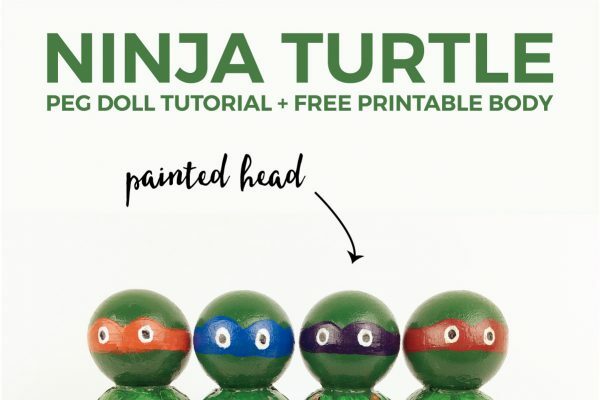 I created two different versions of the printable. 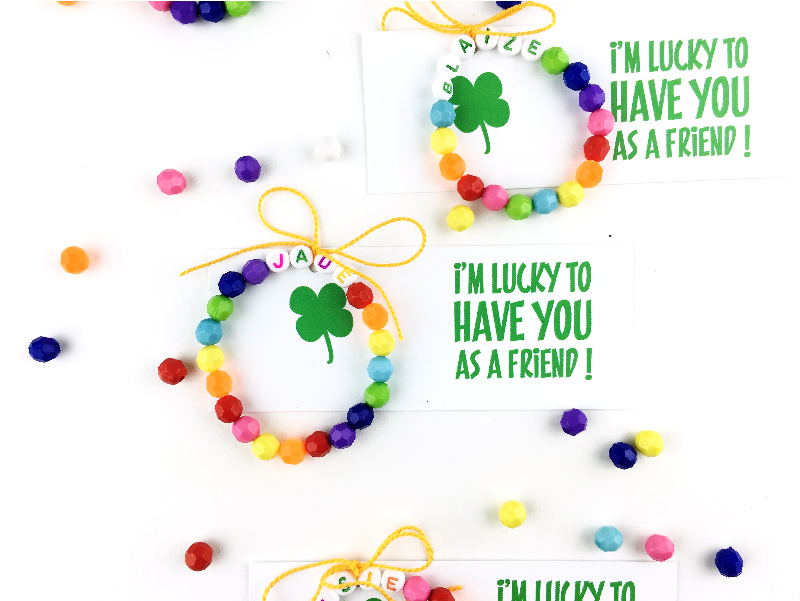 One is for your child to give to their friends (it says lucky to have a friend like you) and one is for you to give to your child (it says lucky to have you as my kiddo). Measure out your child’s general wrist size by wrapping the stretch magic around the wrist. Add a few inches on either end for ease of tying. String rainbow beads on in a pattern or randomly with the alphabet letters in the middle. When you think your bracelet is the correct size recheck on your child’s wrist. To finish simply double knot the stretch magic cord tightly and slide the adjacent bead over the knot so it is hidden. 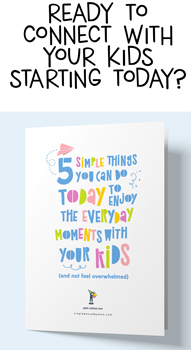 Print out the free printable note (below), hole punch the card stock and tie the bracelet on the paper.